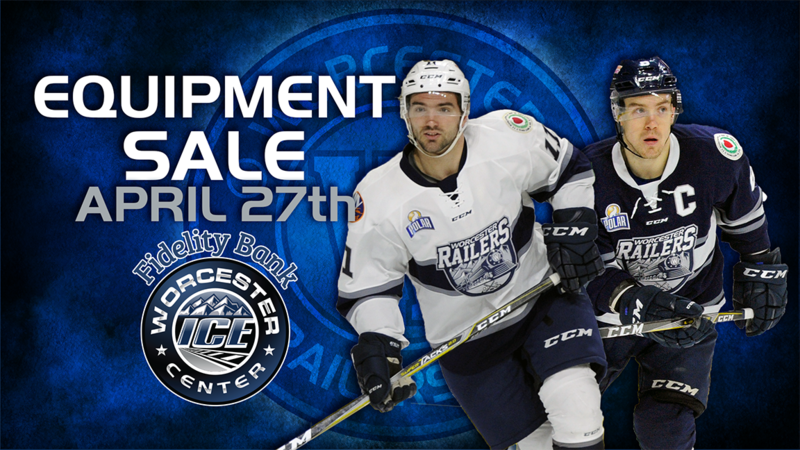 The Worcester Railers will be hosting their annual equipment sale on Saturday, April 27th at the Fidelity Bank Worcester Ice Center from 1-3pm. Season ticket holders in good standing can start browsing items at 12:45pm, and must provide their season ticket holder card to be granted entry. Items will go quickly, so make sure to arrive early to get what you want! 🙂 Merch at the Rail Shop will be discounted as well! In addition, we will be collecting books to donate to our Book Drive! https://railershc.com/wp-content/uploads/2019/04/equipment-sale.png 648 1152 admin /_media/logo082018.png admin2019-04-10 14:35:182019-04-11 13:25:592018-'19 Equipment Sale!